Is “I’m on the road, over the water and now in Paris” a reason for posting late when I baked the bread two weeks ago for being late? No you say! Well, it’s the only one I’ve got. As much as we enjoyed this bread Judy (Gross Eats) I must make this short and sweet as tomorrow morning we are off onto a new adventure. Judy, our new Babe, jumped right in an took the first available open slot for Kitchen of the Month. A bread book that had gotten my attention and Judy’s. I’ve baked the Brioche, all whole wheat healthy … well butter is healthy too, yes. Judy looked at several breads before settling on POWER BREAD. It is packed with goodness, health and flavor. Great flavor and an “oh, it’s it ready to come out of the oven YET!” aroma. Then. “NO, you can’t cut it until it’s cooled.” wait. Let us be clear here. This takes 3 (ok 4 if you don’t read well). BUT, day one and two take a total of maybe 20 minutes. Why did it take me four days, because realized the third day when I went to mix the biga, I should/could have made it the second day with the soaker in seperate bowls, it didn’t need separate days. Reading, yes, that would be a good thing to do. When I worked in the hospital and went into child’s room to give a pill, even an aspirin, there was a check list to go through ~ right name, right medicine, right dose, right time ~ I should do that with each ingredient in a recipe list … I added yeast in the honey amount in grams … yes I did. But, in the hospital it really mattered that I follow that check list … this bread, ha, not so much. Maybe it needed that extra boost in my kitchen. No, I didn’t add extra flax seed. The recipe supplied all I needed in this one. The pumpkin seeds were beautiful on top. Mix all pre-soaker ingredients together in a small bowl, cover, and let sit at room temp for 8-24 hours. Mix all of the biga ingredients together in a large bowl. Wet your hands, and knead for 2 min. Then let it rest for 5 min and knead again for 1 min. Transfer the dough to a clean bowl, cover, and refrigerate for 8 hours to 3 days. Two hours before you’re ready to mix the final dough, let the biga sit at room temp for 2 hours. Cut the soaker and the biga into 12 pieces each. Grind the sunflower seeds into flour in a blender, food processor, or spice grinder (gently pulse or it will turn into sunflower seed butter, not flour). Mix ground seeds with remaining ingredients, including the soaker and biga pieces. Knead the mixture with wet hands for 2 min, or until everything is thoroughly mixed. Dough should be slightly sticky; if it’s very tacky, add more flour; if it’s very dry and not sticky, add more water. Dust your counter (or whatever you’re using) with flour, and roll the dough around in it. Knead it for 3-4 min. Let the dough rest for 5 min, and then knead for another minute. At this point your dough should pass the windowpane test. If not, knead more until it can pass the test. Then form your dough into a ball, place it into a lightly oiled bowl, roll it around in the oil, and let it sit covered at room temp for 45-60 min (until it’s about 1.5 times its original size). Preheat the oven and a steam pan (an empty metal pan on the bottom oven rack) to 425°. Put bread in the oven, pour 1 cup hot water into steam pan, and reduce oven temp to 350°. Bake for 20 min. Then remove steam pan, rotate bread 180°, and bake for another 20-30 min, or until loaf or rolls are brown, have an internal temp of at least 195°, and have a hollow sound when thumped on the bottom. Remove the bread from the pan and let cool completely (at least 1 hour) before serving. Want to be a Bread Baking Buddy and bake along with us! Oh please do, I think you’ll be pleased. Check Judy’s post for all the details and go for it. 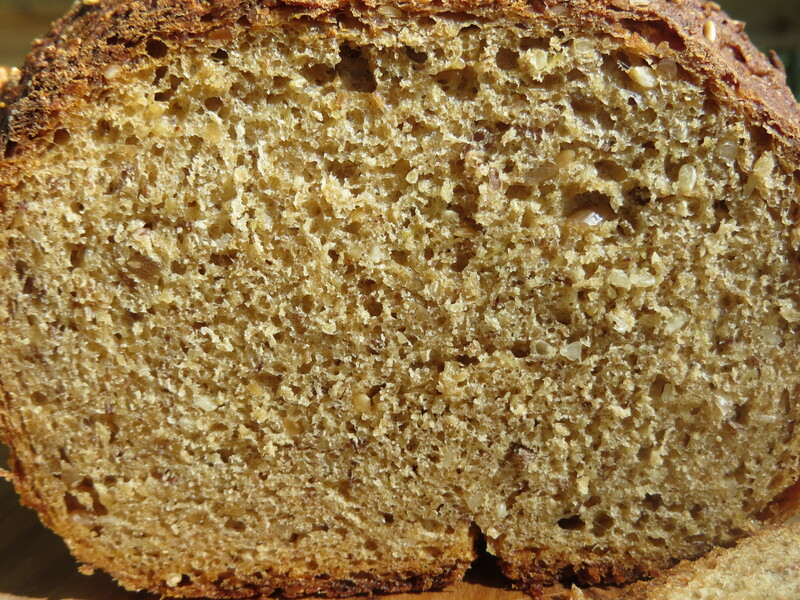 Categories: Bread, Bread Baking Babes | Tags: BBB, Bread, flax meal (seed) | Permalink. All that yeast! It must have made the dough incredibly active. (I used a gram less than was called for and the dough went nuts.) 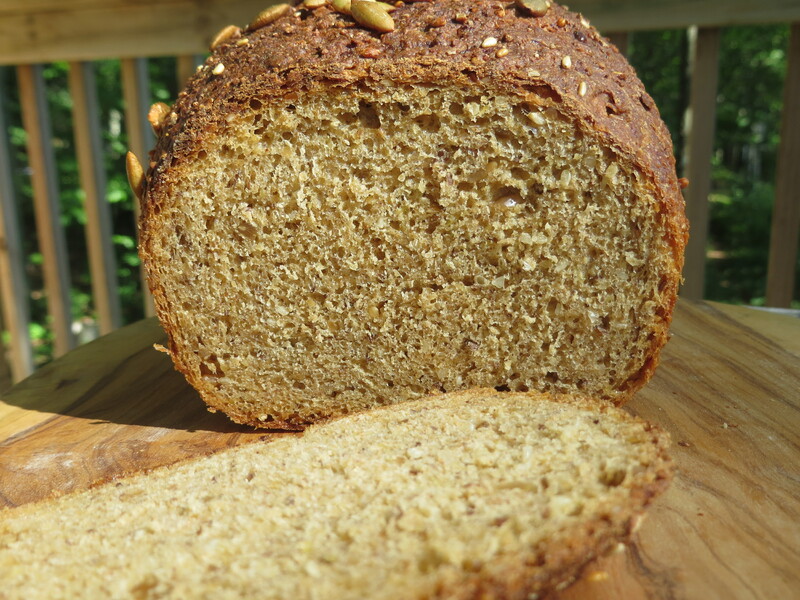 Your bread looks beautiful and soft – not dense at all. Paris! You’re going to Paris?! Please take me with you!!! I’ll bring some Power Bread for the plane… we can contrast and compare. Being In Paris is an excuse for anything and everything. Have a wonderful time. Did you bring me some bread? You’ll go right by my house…. Or you could if you tried…. Enjoy summer! Paris!!! Oh man!!! I almost thought it was four days too =) Have a wonderful vacation! (I say that even though I’m a bit green with envy!) Your bread looks great! Paris? I’d call that a reasonable excuse. Your bread is lovely. 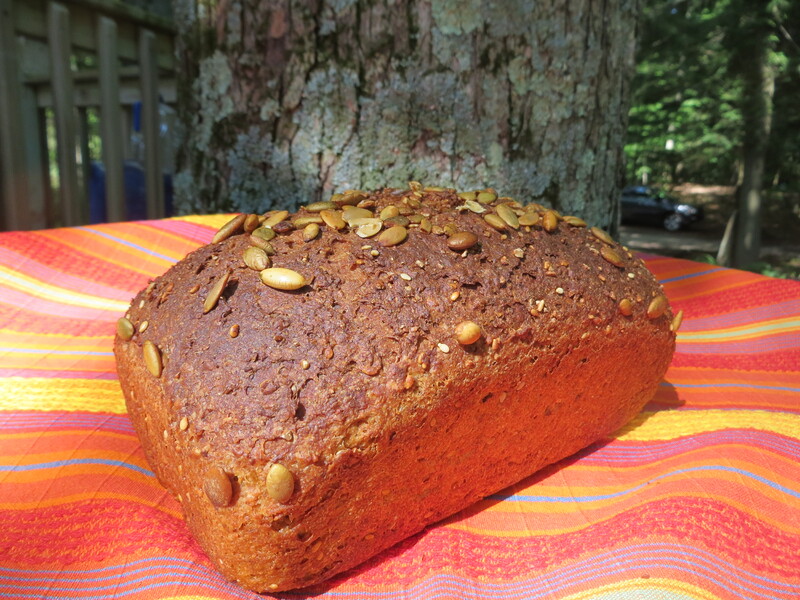 Love the idea of pumpkin seeds on top. Enjoy the delicious French bread!